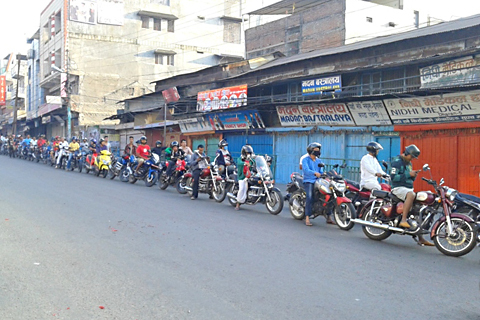 Madhesi parties have been disturbing against Nepal’s new constitution over the last four months, cutting supplies of fuel, medicines and other essential commodities to Kathmandu and other region. Same time the unexpected blockade of India’s has made a high shortage of cooking gas, fuel, daily commodities, medicine etc. in Nepal. Children in Madhesi area have been forced to stay out of schools for months. Our projects are also indirectly influenced by these circumstances. Disturbed in study of children by long strikes and closed schools. Using firewood to cook food because of high shortage of cooking gas. Unable to restore the collapsed wall (Duhabi) from long time because of transportation strike. Environment is unsafe because of open wall. and long queue to get it. Extra requirements of Dipendra School (in 2016) for the enhancement of programs and development of the school.